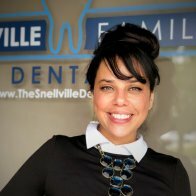 At Snellville Family Dental we believe it is easier to prevent than to fix. That is why we are thorough when we examine every patient for periodontal disease. According to the CDC, we know that half of Americans have Periodontal Disease. However, we are very careful to not diagnose our patients with periodontal disease unless specific criteria have been met and discussed with each patient. SRP, or Scaling and Root-Planing, is a procedure to treat periodontal disease, and they are also commonly known as deep cleanings. Periodontal disease is a severe form of gum disease. There is a sticky film called plaque that is constantly forming on your teeth. The bacteria within plaque produces harmful toxins that if not properly taken care of with oral hygiene can create pockets that trap even more plaque and bacteria leading to a severe infection in your gums as well as in the bone that holds your teeth in place. Our Doctor and hygienist use radiographs as well as an intraoral evaluations to get a full scope of the condition of the bone supporting the teeth. X-rays allow us to see and diagnose damage and diseases that are not detectable by an oral exam. The hygienist will also probe the gums to determine the size of the pockets between a patient’s gums and teeth. 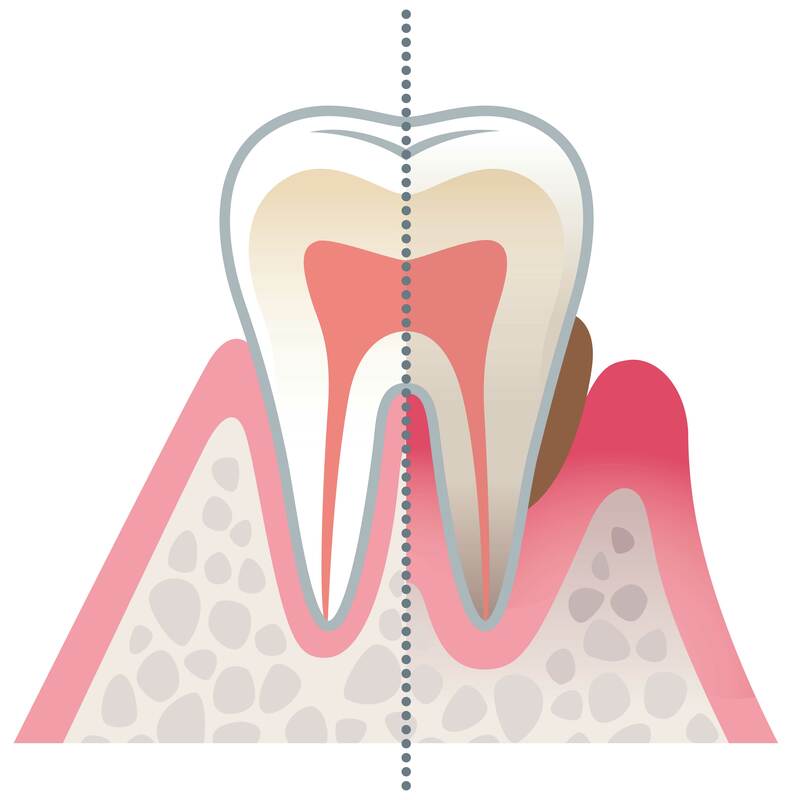 If the pocket is 3-5 mm in size, that indicates periodontal disease in the gums; pockets of 5-6 mm in size indicates severe gum disease, and requires treatment. It is ideal for patients to keep their gum pockets to 1-3 mm in size. 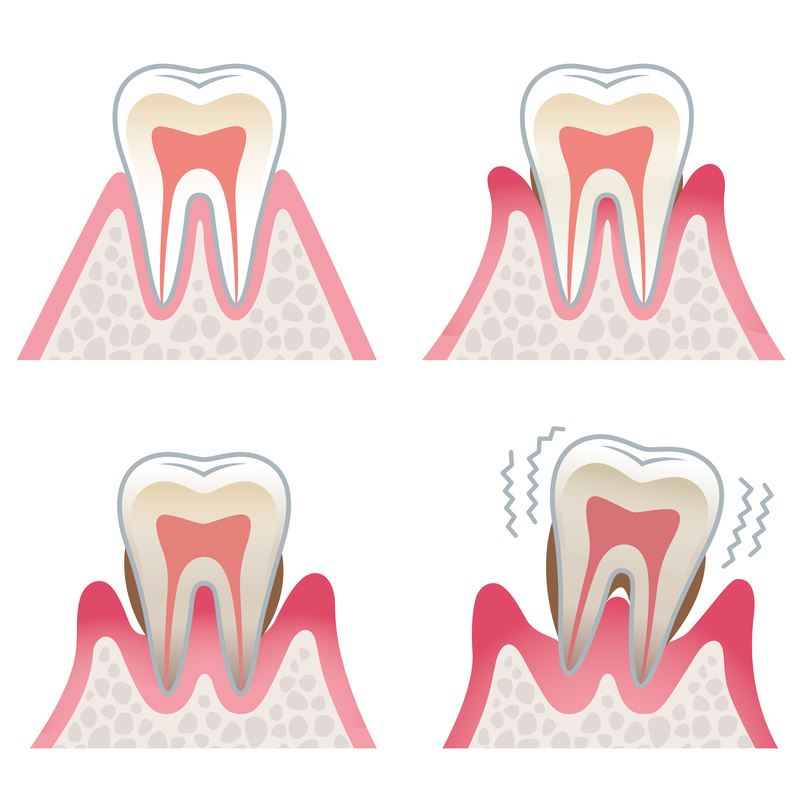 There are several levels of gum disease that each require different treatment options. Our team takes the time to explain explain every treatment scenario to each patient prior to beginning any treatment. Brush and floss your teeth twice a day as well as maintaining regular visits in a dental office with a registered dental hygienist and Dentist. A major factor that will impact gum disease is when a patient has not been seen professionally for a prolonged period of time. An SRP is a procedure required for the treatment of periodontal disease that has two different processes involved. 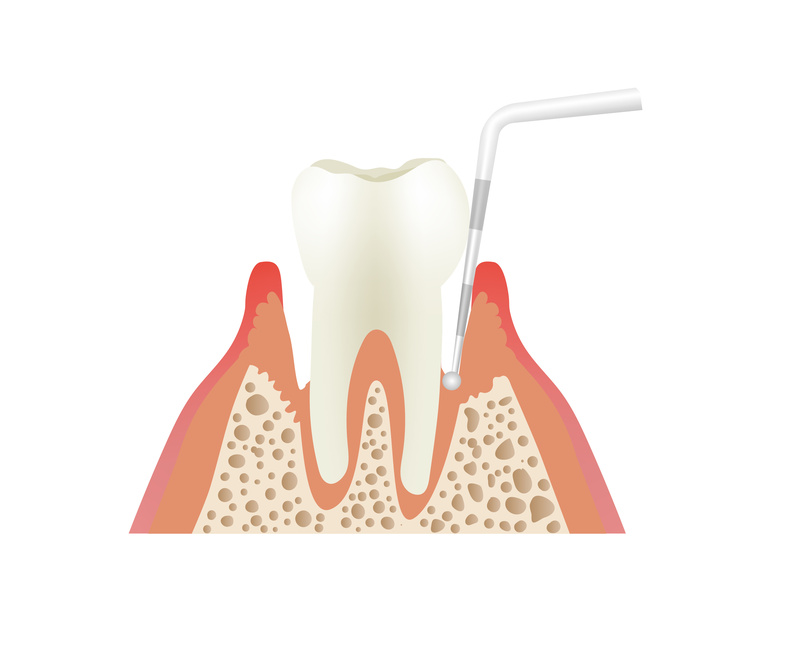 In the scaling portion, the hygienist will remove the plaque and tartar from the tooth and root using a hand instrument. The instrument is also used to go below the gum line and along the root of the tooth to remove the material that is inflaming the gums. In the root planing portion, the roots of teeth are smoothed to ensure that the gums will be able to reattach to the teeth, where the bacteria and infection has pulled it away. Sometimes, due to certain insurance plans, the procedure can take two visits to complete treatment, treating two quadrants of the mouth in each appointment. Prophylaxis cleanings are just the regular cleanings people typically think of when they go in for a routine check-up. 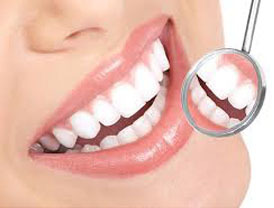 In these cleanings, the Hygienist will remove any plaque or tartar build-up that has accumulated on the crown, or the visible part, of the teeth. The Hygienist will then clean the teeth with an electric brush, floss, and if necessary will then apply fluoride to the surface of the teeth. SRP’s, or deep cleanings, primarily differ in the fact that they not only focus on the crowns of the teeth, but also the gums and the bone below the gums. These visits also tend to be longer, as the process is more labor intensive and time consuming than prophylaxis visits. The Hygienist also uses different tools when conducting an SRP, since much of the treatment is focused on the region between the teeth and gum. Once the SRP procedure is completed, patients are encouraged to maintain good oral hygiene at home, including brushing at least twice a day and flossing once a day. Once a patient gets an SRP, the succeeding hygiene visits should primarily be for periodontal maintenance. These visits are not as intense as the SRP, but they are more extensive than regular prophy hygiene appointments. During periodontal maintenance, the hygienist will clean the crowns of the patient’s’ teeth and also care for the tooth roots, gums, and bone. The frequency for the periodontal maintenance visits will vary depending on the specific needs of the patient and will be determined by the Doctor. As long as the patient continues to come in for routine maintenance and care for their teeth properly on a daily basis, it is possible they will only need the SRP once. Our goal is to take the best care possible for patients’ teeth, and following the Doctor’s recommendation can prevent further treatment or dental issues. Some dental offices can sometimes misdiagnose patients with gum disease, and even perform scaling and root planing when the patient simply needs a prophy cleaning. 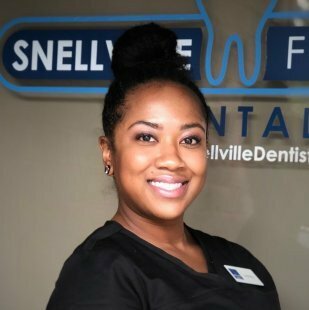 If patients have any doubt if they truly need an SRP, here at Snellville Family Dental we offer free second opinions so our patients have the peace of mind that they are getting the proper treatment. Our Hygienists and Doctors follow the American Dental Association standards, and will only perform treatment that is absolutely necessary. Patients should also keep in mind that if they truly do need an SRP, our Doctors and Hygienists are required to adhere to the American Dental Association standards and perform the necessary treatment; if patients require an SRP, our Hygienist will be unable to give a patient a simple prophylaxis cleaning. 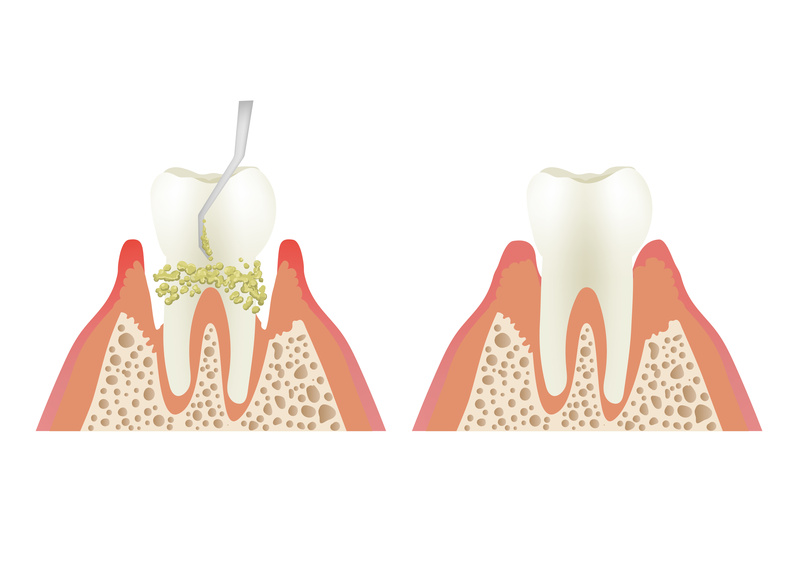 The scaling and root planing procedure is very effective in treating periodontal disease. As long as patients keep up with their treatment and go to regular visits with their doctor, the treatment of gum disease will prevent future problems. Often times, an SRP will only be necessary once or a few times, and the patient will only need to be seen afterward for periodontal maintenance, as long as they are seen at recommended intervals and maintain good oral hygiene otherwise. If gum disease goes untreated, it can lead to future problems like cavities, bone loss, and tooth decay that can ultimately lead to losing teeth. The pricing of an SRP can differ due to many factors, such as the extent of the presence of gum disease and insurance coverage. Most insurance companies will cover the procedure, but this will vary based on your specific plan. Not all elements are necessary for the SRP, so prices will vary among patients, depending on what treatment they require. Keep in mind that tenderness is normal, but there are steps you can take to lessen this. To reduce tenderness and promote healing, every two to three hours, rinse with warm salt water: 1⁄2 teaspoon salt in 4 ounces of water. There may also be some moderate gum discomfort after treatment, but this can usually be controlled with over the counter analgesics, such as Ibuprofen or Tylenol. You may want to take one of these immediately after the appointment and for the next 24 hours as directed. Bleeding can also occasionally occur, though generally, there is very little bleeding associated with periodontal care. Some slight oozing may occur and this is normal. Sensitivity: It is not unusual to have some transient temperature sensitivity after periodontal care. This will usually go away after time. The best treatment is to keep your teeth impeccably clean. You may desire to use desensitizing toothpaste daily, such as Sensodyne, or a fluoride rinse. Please tell us if we can help you with these. Eating: Highly nutritious food is necessary for the healing process. Soft food is desirable the first day. Avoid foods that require excessive chewing, as well as, sticky, crunchy or coarse foods. You may also choose to avoid extreme temperatures in foods and liquids.